I'm beginning to feel ancient with all these college send offs among the younger generation of Chinese artists. Chen Lizhi, CEO of MaxTimes, shared wonderful news about Roy Wang Yuan today. The singer-actor has been accepted into Berklee College of Music. Roy reacts by posting a heart ❤ on weibo. The topic's trending as we speak with a crying emoticon because it means that Roy would be leaving for the US. 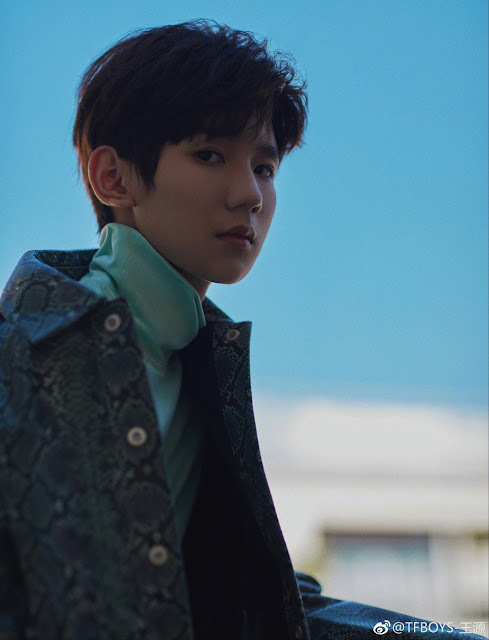 I supposed it's expected that he's headed for college too as his fellow TFBoys members Jackson Yee and Karry Wang are students of The Central Film Academy and Beijing Film Academy respectively. Roy has previously expressed his interest to pursue music and also shared his worries about how his decision would affect those around him. It's a big step for a popular idol to put their fluorishing career on hold, and it's nice to know that things worked out. Interestingly, he'll be schoolmates with his co-star Ouyang Nana who left for Berklee after completing filming for their drama The Great Ruler. Go chasing your dreams & never give up, Yuan yuan! Surely your brothers, Kai ge , Qian xi & devoted fans will always support you.